Porinju’s game plan of picking stocks which are underdogs is paying off well. Such stocks have a high degree of ‘margin of safety’ and so the risk of loss of capital is low. On the other hand, if the circumstances are fortuitous, enormous gains can be harvested from such stocks. Biocon, the mid-cap Pharma stock that Porinju recommended on 24th December 2015, is an example of this. In the five months that have elapsed from that date, Biocon has notched up gains of 38%. This works out to an impressive annualized gain of about 91%. It is notable that Porinju’s conviction on Biocon was in defiance to the opinion expressed by mighty brokerages like CLSA etc, all of whom had recommended that the stock be junked. Porinju claims that the stock is still at an “inflection point” and that more gains can be harvested from it. “The stock can go up by 100% in the next two years” Porinju said with his customary confidence. Unfortunately, the other three stocks recommended by Porinju on the same date, namely, Indian Hotels, Tata Global Beverages and Anant Raj, have not fared as well as Biocon. Hopefully, these stocks will also have their place in the sun sooner than later. If one averages the four stocks, the return works out to 3.27% for five months and 7.85% on an annualized basis. Porinju has now put the spotlight on three small and mid-cap stocks, namely, Orient Cement, Kalyani Steel and KNR Construction. 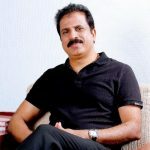 It is worth noting that Porinju is following the same modus operandi as before, namely, picking stocks that are in the doldrums and not much fancied by the market at present. All three stocks have good business models and respectable managements. Porinju claimed that he bought KNR Construction three years ago when it was languishing at Rs. 40-50. If so, Porinju has a magnificent 10-bagger on his hands. 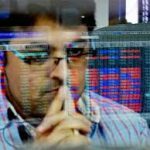 Porinju offered valuable advice that investors should be on the lookout for companies which report bad quarterly results. He explained that the market tends to overreact to such bad results. Companies which have good businesses can suddenly lose large percentages of their valuations. Patient investors who buy stocks at such levels can effortlessly make a lot of money. 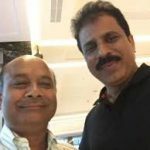 “I love bad quarterly numbers and that is where I have made most money for my investors and myself” Porinju said with a big smile on his face! 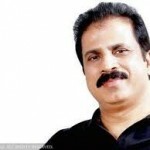 Would love to hear Porinju ‘s views on FCEL? How does the average of those work out to 30%+. It’s more like 2%. Thanks for pointing out. Corrected now. 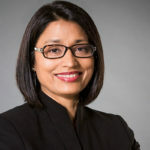 Indian hotel looks to be dark horse and we need to consider replacement cost ,which will keep away new competetrs. Due to overseas misadventures by Indian hotel,which company is correcting and huge loss suffered by new entrants in hotel industry,time is ripe for Indian hotel to perform in next 5 years.Stock may double in next 3 years. He is not blessed by Inisders in these stocks ? The crux of the matter is, Anant Raj ha been his biggest flop. He must be heavily invested in it. He is trying to find buyers by mentioning it in intervieWS. He must be thinking it will hit somr upper circuits and he will quietly dump. But it is not happening. Dude, ansntraj is verge on bteakout. You will see it atleast double from current levels, in 1-2 months. Pavan ji, i guess you should start your advisory firm with title “double your money in 1-2 months”. If you already run one- as many do- in a momentum market, then you are wasting your time here. ANG Industries have reported such a bad quarterly number yesterday 27th May; somewhat expectedly …. from positive EPS of last 3 quarters, it has suddenly moved into a large negative EPS ….is Porinju going to apply the same principle ? The stock such as Kalyani Steel is a Baba Kalyani group company. It is available at PE of around 7. The balance sheet and other fundamentals are good. Looking at overall economic activity picking up and steel sector demand is set to improve in upcoming year. Also Bharat forge being a group company and benefit Kalyani Steel for getting some good orders in future. So overall looking at valuations and growth opportunities, the stock is attractive and long term investors can buy at this levels and keep for next 1-2 years at least.